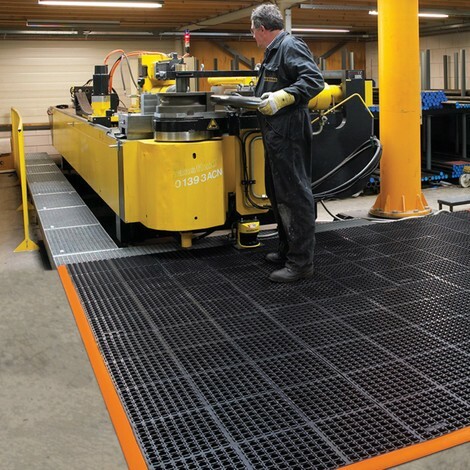 The durable rubber mats prevent premature fatigue when standing for long periods during work – thanks to the special material, they are flexible and particularly non-slip. 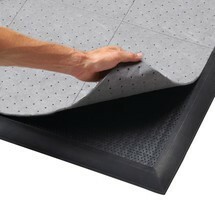 Their weight also guarantees optimum adhesion to the ground. 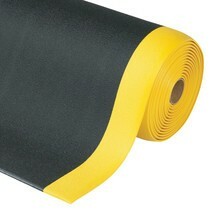 The non-slip mats are characterised in particular by their antistatic surface, which dissipates electrical charges well. No friction charge is generated – sensitive electrical goods in production areas remain unaffected. 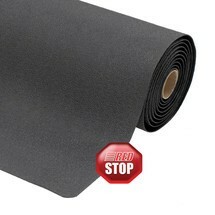 In addition, the anti-fatigue mats made of nitrile rubber are resistant to moisture, chemicals and industrial oils. 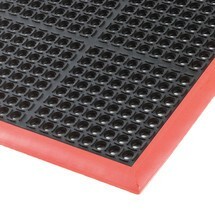 The floor protection mats can therefore be used in wet and slippery areas, both indoors and outdoors. 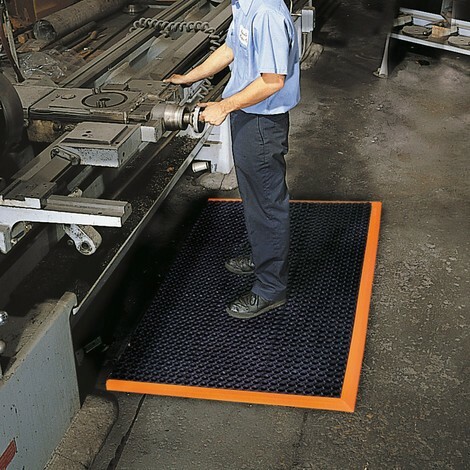 The height of the floor mat is uniformly 22 mm. 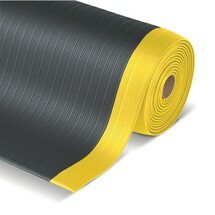 Includes 3 tapered edges which you can place flush against machines. 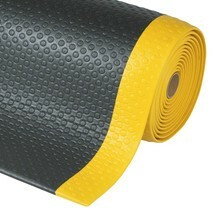 Various sizes of floor mats are available in our range. 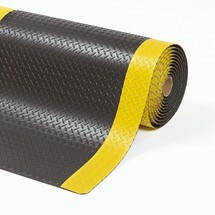 Order the rubber mats by the metre or in a smaller version with edge strips from us here.